Looking to have a custom pendant, charm or ring made for you? 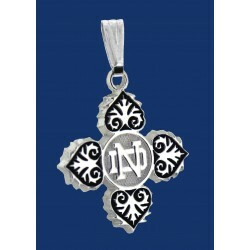 Alamo City Gold & Silver specializes in Notre Dame® Fine Jewelry! Shop Pendants, Ear Rings, Necklaces, Bracelets, Charms and other fine jewelry! 3/4″ in width. Sharp 3 dimensional detail. Allow 2 to 3 weeks for delivery. 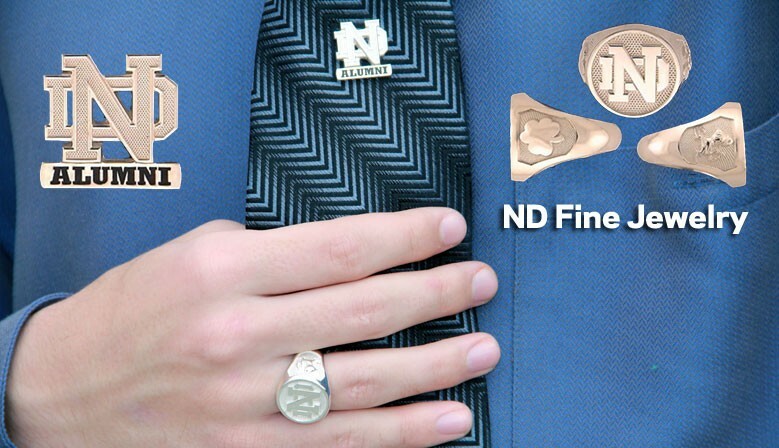 Each cuff link is 3/4″ wide. Sharp 3 dimensional detail. Allow 2 to 3 weeks for delivery. The additional custom engraving fee of $25 gives you the choice of instrument with date and/or name below instrument and engraving on back. Available in 3/4″ & 1″ in length. Sharp 3 dimensional detail. Allow 2 to 3 weeks for delivery. Available in 3/4″ & 1″ in length. Sharp 3 dimensional detail. Allow 2 to 3 weeks for delivery. 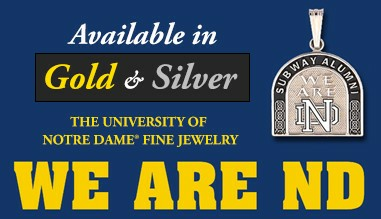 Alamo City Gold & Silver, University Of Notre Dame® Fine Jewelry! Alamo City Gold & Silver Exchange, located in San Antonio, Texas, is a fine quality jewelry store with over 3 decades of service. Alamo City Gold & Silver opened its doors in June of 1984 on Perrin Beitel Road and moved to a larger, family-owned building at 950 N.E. Loop 410 in May of 1995. The company is a full-line jewelry store offering complete on-site jewelry repair service, loose diamonds and gemstones, sport and high fashion watches, gold and silver coins/bullion, appraisal services and custom jewelry designs and manufacturing. Do you have an old gold chain, broken piece of gold jewelry or any gold jewelry that you would like to convert over to something unique? They can design and create custom jewelry for you using your own gold. Or if you just want to sell your gold or silver, they will buy it to refine and use in their jewelry repairs and in the manufacturing of their custom jewelry. David & Charlotte Putnam, the owners, are well known in the San Antonio area for selling fine jewelry and for providing the best jewelry repair at an affordable cost. David is a retired San Antonio police detective whose respect for both law enforcement officers and firefighters manifests itself in the beautiful law enforcement and firefighter badge pendants, charms and rings he creates and sells. 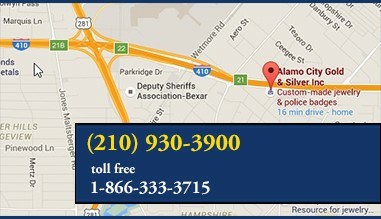 Visit www.sadiamonds.com to view the catalog of custom law enforcement badge rings, charms and pendants and other jewelry by Alamo City Gold & Silver. Also on their website www.sadiamonds.com click on "Watch Us On Texas Country Reporter" to see the feature on David regarding end-of-watch memorial badge pendants donated to the families of law enforcement officers killed in the line of duty all over the country. Find out how you can become a sponsor of one of these memorial badge pendants. Charlotte's love for all that is Notre Dame began when her brother attended Notre Dame. 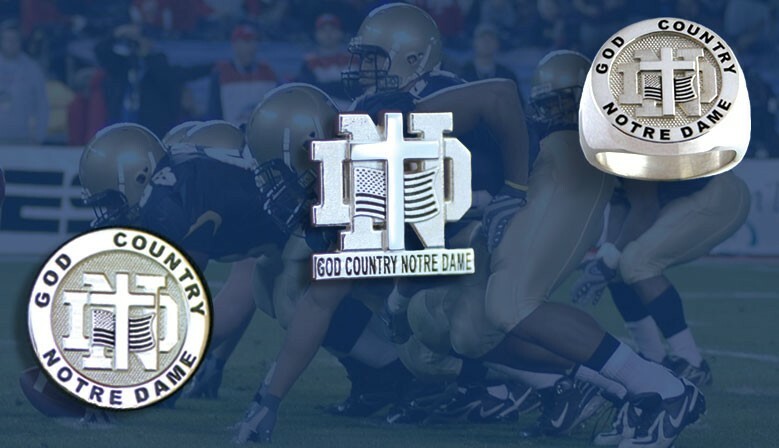 She is very proud to call him a "Double Domer" and to have a niece and a nephew who also attended Notre Dame. 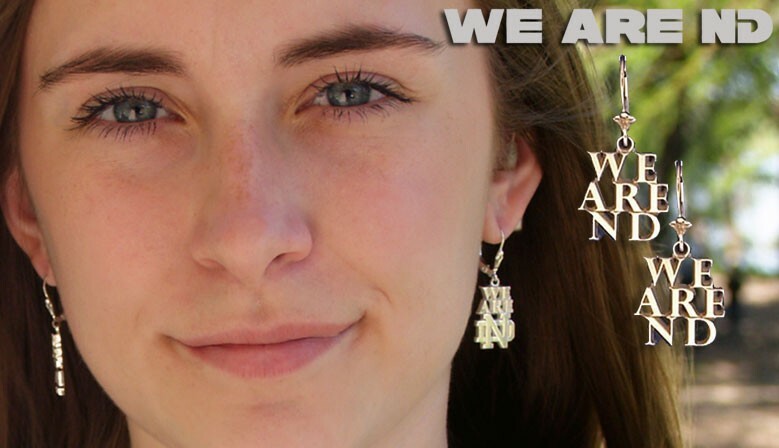 She calls herself "Subway Alumni"* and feels very much a part of the Notre Dame family. Charlotte's passion for the University of Notre Dame has allowed her to bring a level of detail that only a true Notre Dame fan could offer. 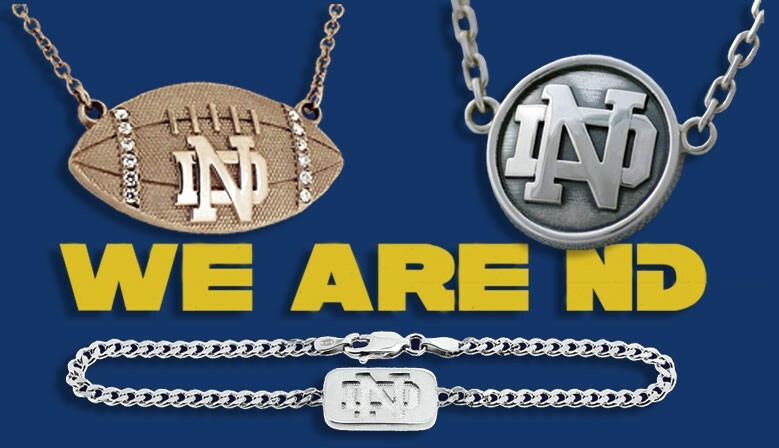 The unique ND bracelets, ND charms, ND pendants, and other custom ND jewelry are designed with pride and love for Notre Dame. 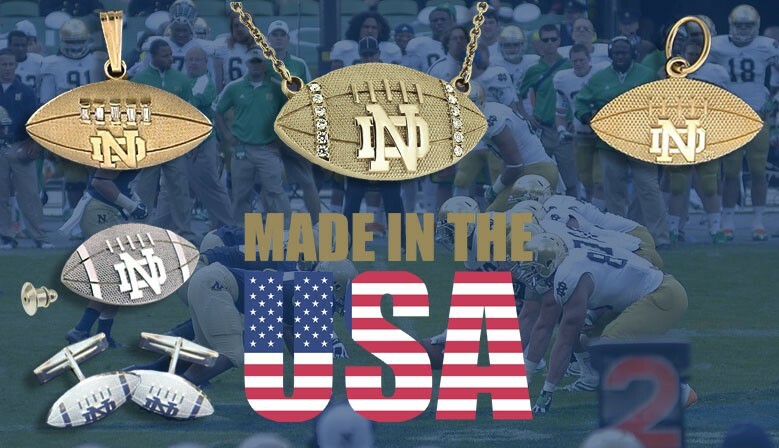 Using the precious metals, gold and silver, designs are created and manufactured representing the aura, mystique, beauty and class that is Notre Dame. All this is done right in the store and not in a factory. Their master jewelers have decades of experience. Their expertise shows in every piece that is carefully cast, polished and finished by them. 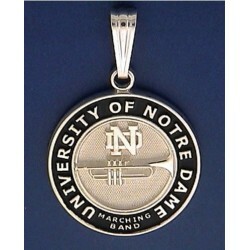 Alamo City Gold feels very proud and privileged to be licensed by the University of Notre Dame to sell ND Jewelry. 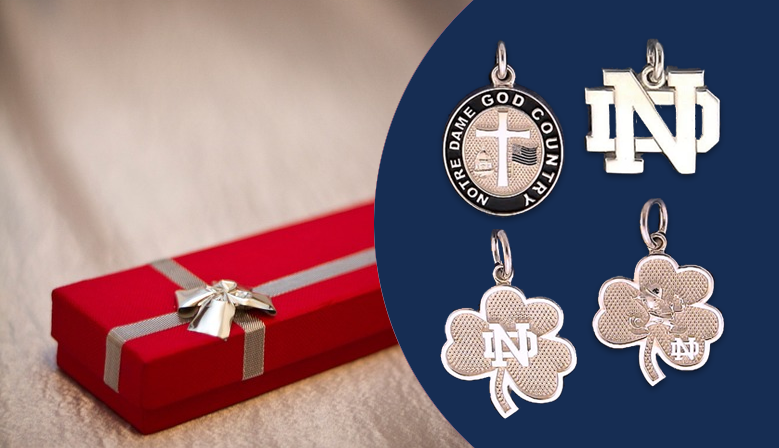 When you buy Notre Dame jewelry online, look for the Genuine College Product emblem to ensure that you are getting products approved by the University of Notre Dame. 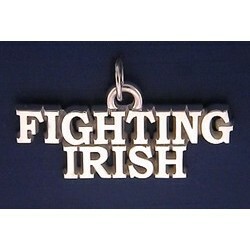 No other sticker/emblem of any other licensing organization should be shown regarding the University of Notre Dame. Do you know how the Subway Alumni received its name? Learn the history and how we designed our jewelry by a strict allegiance .. 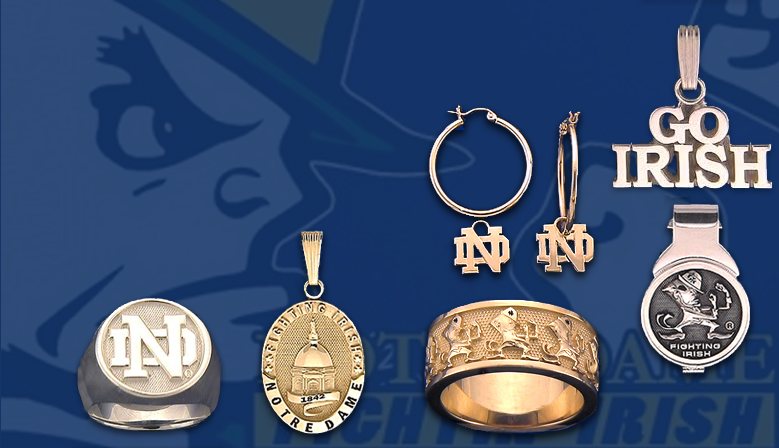 Learn about the inspiration behind some of our intricate designs behind the Rotunda..
Did you know the Leprechaun became the official mascot in 1965? Learn more about the ND Leprechaun and why the he faces the same direction ..
Do you know the difference between NFL & NCAA football stripes? Learn about the history of the football stripes and differences behind our designs .. 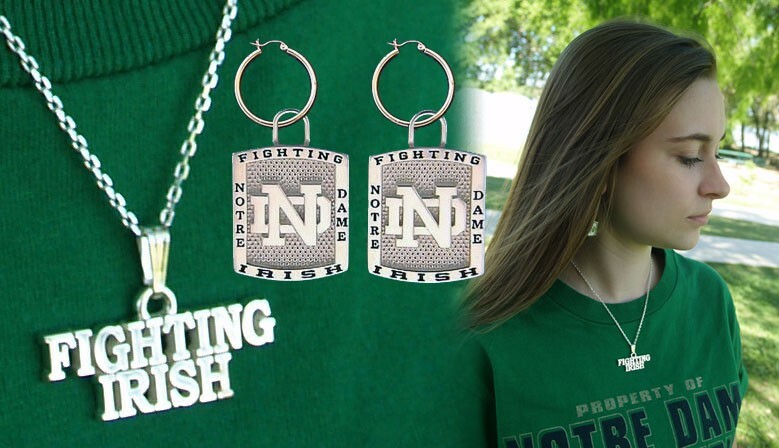 Ask us how we can personalize your ND jewelry! All of our jewelry is custom made from scratch. We don't carry inventory, so that means each item can be personalized to your desire. From using your own gold or silver, adding gemstones or engrave your personal message. If you see an item that you would like to inquire about further customizing options, please contact us anytime!